A recent review of over 250 research studies *found that our ultra-processed diet is depleting us of at least three of the four neurotransmitters that regulate our appetite, weight and mood. That’s in good part because it is starving our gut’s microbiome, the enormous population of over 1,000 strains of bacteria that is so vitally important for our physical and mental wellbeing. This bacterial body cannot thrive on the current, largely nutrient-void, commercial fare that so many Americans now subsist on. Ironically, as the biome declines, our cravings for poor quality sugars, starches, and fats accelerate – depleting it even further. 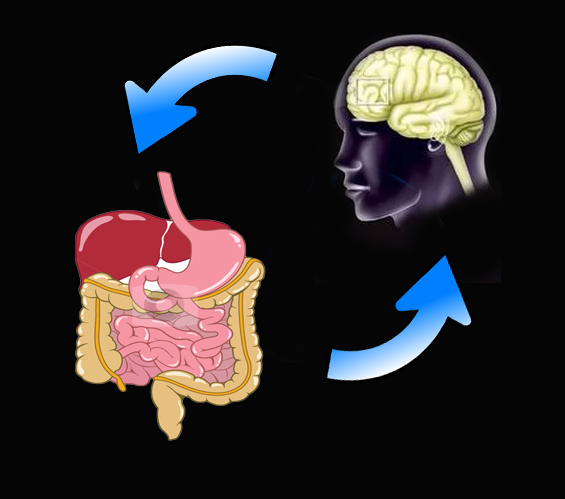 The gut has been called the second brain because there are so many connections between it and the orb above. Many vital brain functions are directly dependent on the presence of very specific gut bacteria. For example, ninety-five percent of serotonin, our powerful appetite- and mood-regulating neurotransmitter, can only be produced in the gut with the help of particular bacteria. Without these specific organisms, these crucial neurotransmitter’s levels can become depleted. Serotonin deficiency is known to increase sugar craving, overeating, and weight gain as well as the depression and anxiety that so often drive us to these damaging foods. 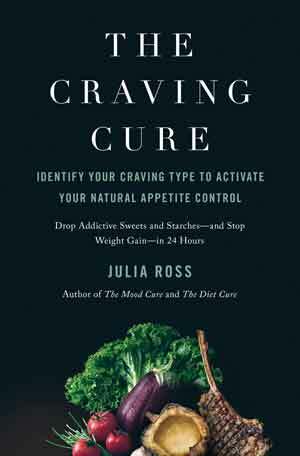 The Craving Cure might just as well be titled The Microbiome Cure, as it provides the means of restoring our full complement of gut bacteria. How? By showing us how to quickly improve the brain’s appetite-regulating neurotransmitter functions, functions that can then stop our cravings for junk-foods and keep us satisfied with healthful food. For example, the serotonin-fueling amino acid tryptophan, used as a supplement in the free, predigested, form, bypasses the compromised gut, quickly reaches the bloodstream, and enters the brain. There it is used to quickly raise the levels of serotonin. Other individual aminos used as supplements can do the same thing when additional appetite-regulating neurotransmitters like dopamine, endorphin, or GABA are depleted. This typically eliminates even the most insatiable urges for sugar and fat (and also improves our moods!). Freed of our cravings for the ultra-processed foods that are now starving our brain and microbiome, we can once again enjoy the variety of traditional, whole foods that have sustained us and our bacterial companions so well for over a million years. Not only our gut and brain, but even more importantly, our genome is dependent on a steady supply of particular nutrients that our current diet does not supply. Again, the amino acids allow us to return to the traditional nutritious diets that can allow us to, once again, properly genetically express all of our cellular functions, including our ability to burn calories and fight disease. The Craving Cure’s Chapter 4 describes research showing how quickly junk foods deplete our genetic function and how quickly a healthy diet can restore it.